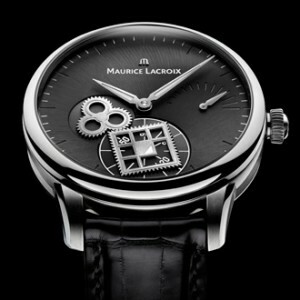 Maurice Lacroix is never one to shy away from a challenge! 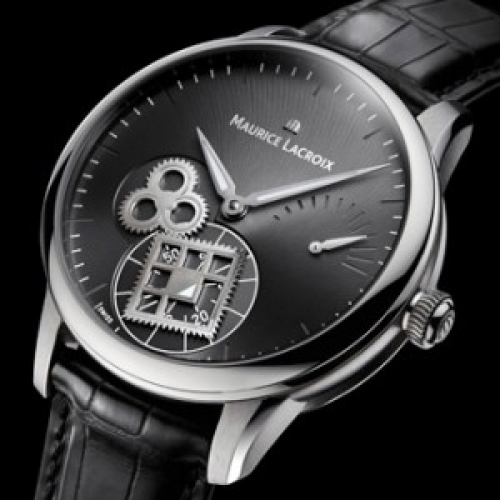 Having pushed back the limits with the Roue Carrée by giving a totally new angle to mark the passage of time, Maurice Lacroix has now created a seconds mechanism that differs from its circular counterparts. Activated by a toothed clover-leaf wheel, the small seconds comes to life in a lively and steadfast rhythm provided by an openwork square wheel. To leave the seconds hand squarely in the spotlight, the hours and minutes are indicated by simple central hands coated with Superluminova. Contemporary and revolutionary, the Masterpiece Roue Carrée Seconde has given time a new philosophy, in which aesthetics and engineering go hand in hand.